The annual BT-PeopleStrong survey finds that companies such as Amazon and Flipkart, are moving up the aspirational ladder. The connect between the stats thrown up by the Business Today Best B-school survey three months ago and the results of the Best Companies to Work For survey is hard to miss - perceptions at B-school campuses were, in fact, a precursor to what young minds admire about companies they would like to work for. 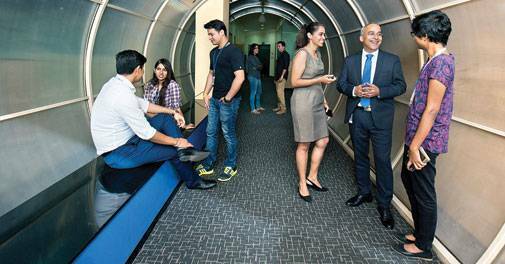 When Business Today visited the campuses of India's leading B-schools for its annual survey in 2015, it found that technology and Internet-based companies were the flavour of the season. Students were fired up by the prospects of working in a challenging and hierarchy-neutral world. 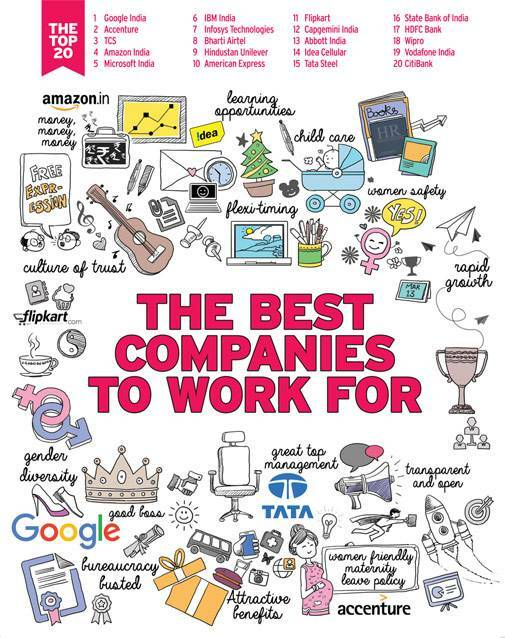 Three months on, the entry of Internet-based companies, such as Amazon and Flipkart, in the coveted list of Business Today Best Companies to Work For confirms that Internet-based and hierarchy-neutral companies are moving up the aspirational ladder. In many ways, the survey also lends support to the argument that brand-related perceptions are still important as much as the challenging roles the youth are so excited about, besides attractive compensation packages, workplace diversity, ethical practices and work-life balance. The case of Amazon employee Chirag Kohli and his efforts leading to the launch of Project Udaan gives an insight into how companies are responding to the requirements of the bright young minds (see Amazoining Talent). While respondents looked up to start-ups primarily because of the increased on-the-job learning opportunities and a hierarchy-neutral work environment, the survey also revealed that the reward and recognition system, including the prospect of getting employees' stock options, influences their decision. "Companies where employees are allowed to experiment with new ideas add a lot of fun and provide job satisfaction. Today, the young look at these opportunities to not only boost their leadership capabilities, but also to enrich their resumes for future jobs," says Amit Mehra, Associate Professor, Information Systems, Naveen Jindal School of Management, University of Texas at Dallas, and a former associate professor of Indian School of Business (ISB). The one constant from our earlier survey was the rankings of the top three companies. Google topped the list with Accenture and TCS right behind at second and third position, respectively. The three apparently have built on their earlier perception. For instance, during the past year, Google created a culture of innovation by enabling a collaborative environment and transparency across the organisation, while Accenture, which has a headcount of 130,000, is focused on enhancing its gender diversity, reviewing its employee performance mechanisms and focusing on skill building. TCS, with its even larger employee base of 344,000, focused on learning opportunities and enhanced channels of communication with employees, to counter the bad press following allegations of employee dissatisfaction. This year, the survey saw eight new entrants in the top 25, which included a bunch of players from a cross section of sectors - banking, financial services and insurance (BFSI), telecommunication, consulting and Internet-based companies - with companies such as Flipkart, Capgemini, Idea Cellular, Citibank and Genpact among them. However, two big companies, Larsen & Toubro and Reliance Industries, moved out of the top 10 this time. In fact, Reliance does not figure even in the top 25 and L&T is down to 25 from eight. HR veterans say, on the condition of anonymity, that the main problem with Reliance could be its inability to retain some of the top-notch talent. For instance, its HR head Prabir Jha, who was credited with a few significant people -friendly policies, left the company in July 2015. He had introduced a five-day work week while overhauling the company's people policies. The company has seen a few other high profile exits, too, including that of Sandip Das, the former managing director of Reliance Jio Infocomm. Even in its sports business, attrition levels were on the rise with the exit of Prakash Iyer, the CEO of Mumbai Indians, who left within a year of joining. Such developments, in fact, could have an influence on the brand perception and could end up aiding arguments within HR circles of a possible coterie culture at work. 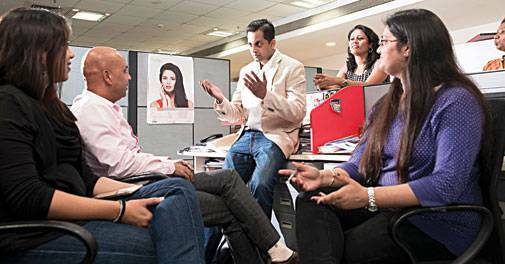 According to HR experts, the inability of L&T's leadership to allow top talent to grow within the company is making both prospective and existing employees look away. Besides Reliance and L&T, the other heavyweights that dropped out of the top 25 were Bharat Heavy Electricals (BHEL), Mahindra & Mahindra, ABB, ONGC, ITC, Coca-Cola and Air India. It was also apparent that companies representing sectors that are under stress, including manufacturing and auto, could not make it to the top 25 list. Overall, top companies across most sectors have more or less remained static with minor changes in positions. "Companies today need to constantly figure out ways to keep employees excited, empower them to make their own decisions and have a sense of ownership," says Mayank Tivary, Lead Recruiter at Facebook India, adding: "Compensation and benefits are important, but so are opportunities to learn and grow very fast." His thoughts were in line with the expectations of the respondents - compensation and benefits, higher job role, responsibility, work environment and culture were the key factors that made a job attractive. But, what prompts employees to be on the lookout for a job? Well, the survey revealed that lack of career growth was a more important parameter compared to compensation levels. The survey also threw up some sector-specific findings. For instance, while employees from pharma and healthcare were of the view that their rewards matched their performance, engi-neering and auto sector employees complained about lower skill enhancement opportunities. However, sectors such as telecom, pharma and healthcare showed the highest level of satisfaction over skill enhancement opportunities. The survey also found that leadership skills were not up to the mark, with one out of every five respondents dissatisfied with their bosses. In fact, employees in start-ups seemed more satisfied with their bosses. Another important finding of the survey was the fact that ethical practices and stability emerged as the top two important factors for employees. Perhaps, the Business Today Best Companies to Work For survey will have important takeaways for business leaders across companies.